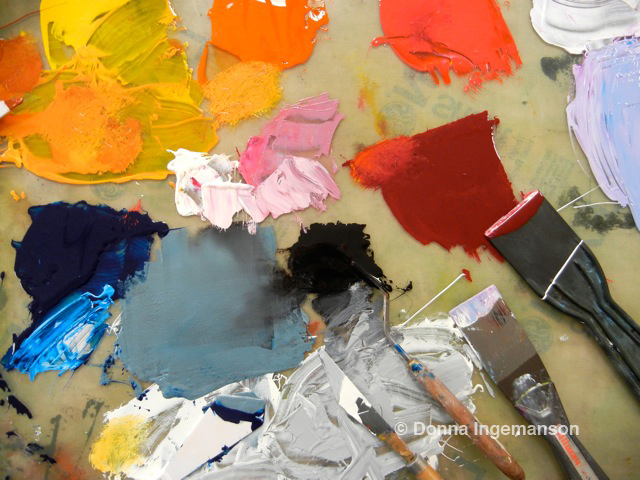 Ahhhh… everything starts out so nice and orderly once I arrive at the print studio. The brushes are calling out to me! 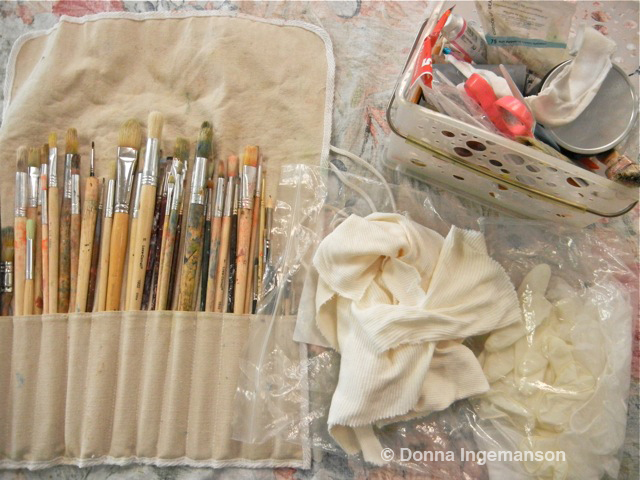 The rags are untouched by ink or paint. While satisfying my intuition I am drawn to my color choices for the day. Things begin to get messy. While scraping and painting I’m loosely working out the details of a design that feels right to me. Not long ago I watched the movie Le mystere Picasso that tried to capture the creative process of his work. It’s worth checking out as the viewer can see how Picasso had such a fearless approach to making art. If a piece didn’t work out-he accepted it as part of the process. Another version of the same design. Once an initial print has been pulled I retool the design and manipulate it. Each monotype print is unique and different. After initially tinkering with a more muted palette I ventured towards black which is ultra-bold for me. 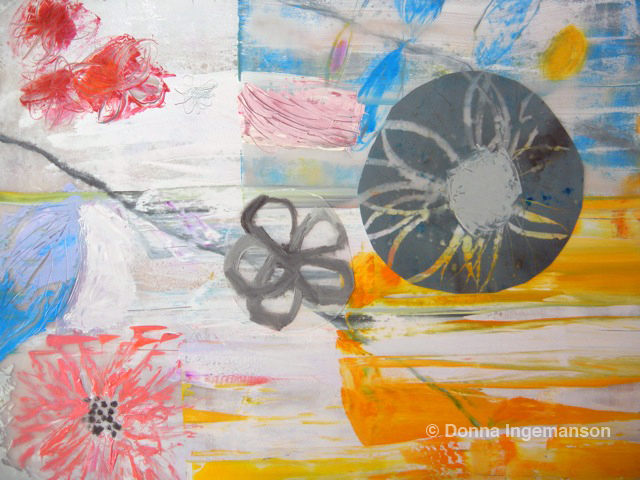 My goal is to create a finished piece that tells a story about color, texture, nature and the love of paint. 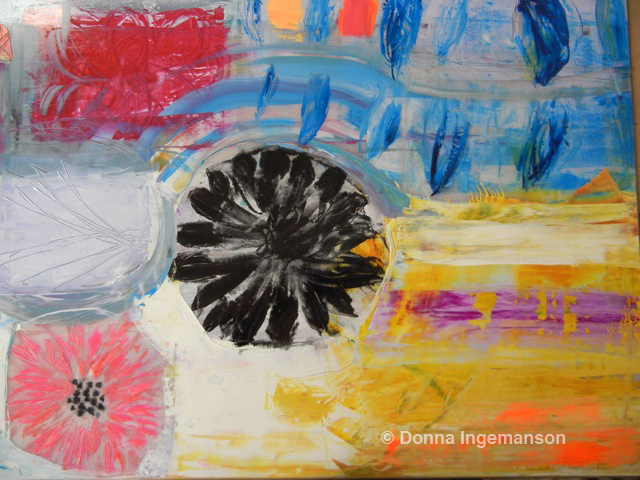 You are currently reading art in progress… at donna ingemanson studio.